When James “Jimmy V” Valvano was seventeen years old, he wrote down his dreams on an index card. On that card, he wrote that he would play college basketball, become a head coach, win a game in Madison Square Garden and, finally, cut down the nets after winning a National Championship. At age thirty-six, Jim Valvano could take that crumpled index card out of his pocket and cross off everything on the list. He had done it all. Since I was little, Jimmy V has been my hero simply because his North Carolina State Wolfpack Men’s Basketball team is the greatest underdog story of all time. 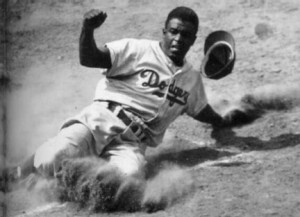 However, when delving deeper into the various taxonomies and exploring the definition of heroism, I have been able to identify that it is the classic come-from-behind story: someone who once walked among us, as an ordinary person, accomplishing what was deemed impossible. Jimmy V can be identified as the classic, odds beater/underdog by three heroism scientists named Zeno Franco, Kathy Blau, and Phil Zimbardo. In 2011, these three scholars published a Situation-Based Taxonomy of Heroes. Jimmy V is a true underdog in the way his team won a championships it had no business winning, and in the way he fought cancer with bravery, dignity, and class. Jimmy was born in Corona, Queens, New York to a middle class family. He would go on to marry his high school sweetheart, and be a loving father to three daughters. 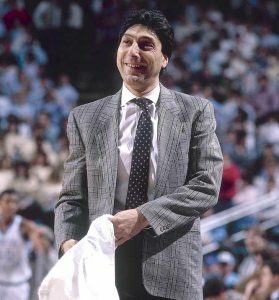 Despite his successful coaching career that would require him to be away from his family, his Italian upbringing provided the strong foundation from which Jimmy V could live out his aspirations. One of the many reasons I see Jimmy V as a hero is that, along the way to accomplishing his dream of winning a national championship, he took on a personal ideology of living that would allow him, a seemingly ordinary man, accomplish things that we see as extraordinary. This ideology would help him to innumerable victories. 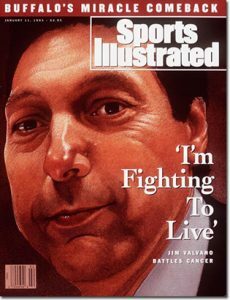 Sadly, Jimmy V would face an opponent that would be the most challenging of his life: cancer. One of the features of the Joseph Campbell‘s hero’s journey is the return, in which the hero gives back and shares the knowledge learned from their transition from layperson to hero. Despite all of the incredible things he accomplished while healthy, it was all the things Jimmy V did while sick that solidified his heroism, in my eyes. During the final 10 months of his life, Jimmy V utilized his coaching platform, sharing personal anecdotes and vibrant insight into his life as a patient in hopes of spreading awareness of the disease that has taken so many. Jimmy V did not shy away from the public eye, as showcased in his ten minute acceptance speech upon receiving the Arthur Ashe Award for Courage at the 1993 ESPY Awards. 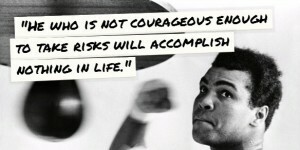 He was not afraid to show the world the truth about cancer: crying in interviews and struggling to walk. 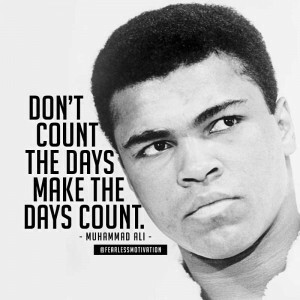 He knew he would lose his final battle in his life after winning so many, but his spirit, charisma, and genuine heart are things that will live on forever. The best stories in sports are those that transcend the playing field or court. They are the stories of those who climb the latter of success, attaining achievement and, often times, in the most famed stories, coping with the agony of loss. The 1983 NC State Wolfpack has one of the most storied runs of all time. That run is nothing without my hero, Jim Valvano, who could be seen as falling shy of a hero because he lost his battle with cancer. However, like Jimmy V said, “… That does not mean that you lose to cancer. You beat cancer by how you live, why you live, and in the manner in which you live”. Below is a clip of Jimmy V’s inspired speech at the 1993 ESPY Awards. Meghan Dillon is an undergraduate enrolled in Scott Allison’s Heroes and Villains First-Year Seminar at the University of Richmond. She composed this essay as part of her course requirement. Meghan and her classmates are contributing authors to the forthcoming book, Heroes of Richmond, Virginia: Four Centuries of Courage, Dignity, and Virtue. Shavarsh Karapetyan is a retired Soviet Armenian finswimmer. He is an 11-time World Record holder, 17-time World Champion, 13-time European Champion and 7-time Soviet Champion. Despite his prolific accomplishments in the water, Karapetyan is much more well- known in the former USSR for his heroic, self-sacrificing actions on September 16, 1976. 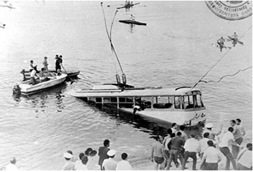 Just as he finished a 12 mile training run with his brother alongside the Yerevan Lake in Yerevan, Armenia, a trolleybus veered out of control, fell from the dam wall, and crashed into the reservoir, 80 feet from shore and 33 feet deep into the water. Karapetyan swam to the bus, and despite almost zero visibility in the dirty water, broke the back window of the bus with his legs and began pulling people out. The trolleybus was crowded with as many as 92 passengers and Karapetyan knew he had little time, spending approximately 30-35 seconds for each person he saved. Karapetyan managed to rescue 20 people (he picked up many more, but 20 of them survived), before the combined effects of the freezing water and wounds from broken glass rendered him unconscious, where he remained for 45 days. 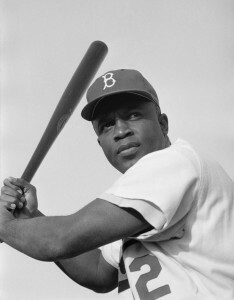 The damages sustained from his selfless, heroic act included subsequent sepsis (due to the presence of raw sewage in the lake water), and lung complications, ending his athletic career. Today’s experts agree that no one but Shavarsh could have been physically able to do what did, and the passengers on the bus are lucky that he was there when the crash happened. Karapetyan’s feat was not immediately and widely recognized. The photos from the accident scene were censored and released to the public only two years later, and the first newspaper article about this accident and Shavarsh’s heroic rescue actions was published six long years after the incident. The publication revealed that he was the rescuer, making his name a household name in the USSR. Subsequently, he received about 60,000 letters and was awarded a medal “For the Rescue of the Drowning”, the Order of the Badge of Honor, and a UNESCO “Fair Play” award for his heroism. To this day, Karapetyan doesn’t consider his act as heroic or extraordinary. When asked how he managed to do what he did, he humbly replied, “I was simply closer to the crash than anyone else.” He also admitted that he would have rather died than not jump into the water that day. That was his only choice. He simply did what he knew was right, what he was supposed to do in such situation, no matter how difficult and dangerous it was. Perhaps the most remarkable aspect of Karapetyan’s feat is that he wasn’t satisfied with the number of people he managed to save. Later describing the incident, he said, “I knew that I could only save so many lives, I was afraid to make a mistake. It was so dark down there that I could barely see anything. One of my dives, I accidentally grabbed a seat instead of a passenger… I could have saved a life instead. That seat still haunts me in my nightmares.” Karapetyan managed to save the lives of 20 strangers in the dark, toxic waters, and he’s still haunted by the 21st he could have saved instead of the seat cushion. 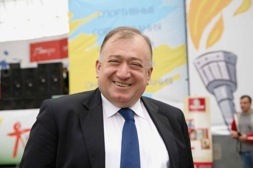 Incredibly, Karapetyan found himself in another heroic situation nine years later. On February 19, 1985, he happened to be near a burning building with many people trapped inside. Without a second of hesitation, he ran into the building and began pulling people out to safety. Again, he suffered serious personal injury, this time in the form of severe burns to his body, and spent many weeks recovering in the hospital. When his wounds healed and he felt better, Shavarsh got back to practices and managed to set yet another world record swimming with a scuba set for a 0.25 mile distance in 3 minutes and 6.2 seconds. This was his eleventh and last world record. 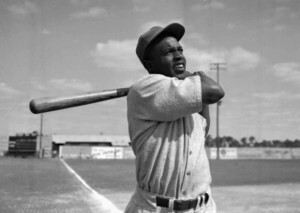 He couldn’t proceed with his athletic career, as his injuries severely impaired his health, and he was forced to leave his outstanding sports career behind. Karapetyan made a great moral contribution that was only possible through his exceptional swimming ability. His heroic act was one of incredible personal sacrifice and valor. While he doesn’t follow the typical monomythic hero path, his courageous behavior, coupled with an admirable sense of humility, exemplifies the heroic definition of someone who makes great contributions that require both great morality and great ability. Sharon Novikov, Matt Rosenthal, & Russell Pine are undergraduate students at the University of Richmond. They wrote this essay as part of their course requirement while enrolled in Dr. Scott Allison’s Social Psychology class. There are times when real-life hero stories are so unlikely, and so inspiring, that they have the appearance of a fairy tale. The story of New York Knick basketball player Jeremy Lin is one such tale. Lin played college basketball at Harvard, a school known far more for its academics than for its athletics. Lin was a star player at Harvard, but when he graduated in 2010, there were no professional basketball teams in the NBA interested in him. He was judged to be a marginally skilled player who lacked athleticism. 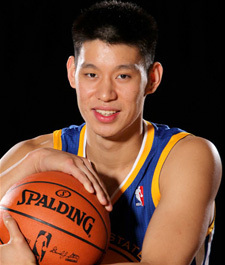 Eventually the Golden State Warriors decided to take a chance with Lin, but they gave him little playing time and eventually cut him from the team. The Houston Rockets then did the same. Lin’s basketball future looked bleak. But Lin never abandoned his dream to play professionally. He began this current basketball season languishing at the end of the New York Knicks’ bench, still waiting for his chance. There appeared to be little hope that Lin would ever be able to prove himself on the basketball court. At this point, the magical part of the fairy tale kicks in. On February 5, 2012, with the Knicks struggling to win games, coach Mike D’Antoni took a chance and decided to bring Lin into a game against the New Jersey Nets. 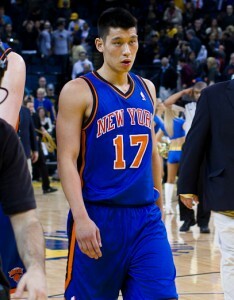 Lin proceeded to dazzle everyone by scoring 25 points and handing out 7 assists, leading the Knicks to victory. His performance stunned everybody. In his first four games as a starter, Lin scored more points (109) than any player in NBA history. That includes legends such as Michael Jordan and LeBron James. “I have never seen this,” said Knicks coach D’Antoni. “What he’s doing is amazing.” Lin is the first New York-based team athlete to appear on the cover of Sports Illustrated two weeks in a row since the magazine started in 1954. Lin’s stunning rise to stardom has captivated New York Kick fans, who erupt into a Beatlemania-like frenzy whenever Lin touches the ball. 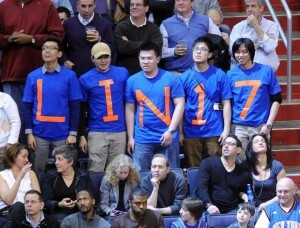 The phenomenon has been called Linsanity. As if Lin’s storybook rise to fame isn’t enough, he has also shown remarkable humility and generosity off the basketball court. When interviewed, Lin comes across as genuinely gracious, modest, and grateful for the opportunities given him. He always gives credit to his teammates first. One day he wants to become a pastor devoted to helping others and establishing non-profit organizations to assist those less fortunate than him. Lin also plans to work in inner-city communities to help underprivileged children. Every once in a while, a hero appears out of nowhere to accomplish goals that no one could ever have anticipated. The story has a powerful, almost archetypal quality to it. It reminds us of fables and childhood tales that mesmerize us at a young age. No one expects Cinderella to become a princess or the ugly duckling to grow into a majestic swan. These stories inspire and move us because they are so very rare and have such a great emotional payoff. And when they do occur, as with Jeremy Lin, our views about the promise and hope of humankind are rekindled. Below is clip showing some highlights of Jeremy Lin leading the Knicks to victory over the Lakers. Oops! We had to remove the hero profile you’re looking for because it will soon appear in our new book Heroic Leadership: An Influence Taxonomy of 100 Exceptional Individuals, to be published by Routledge in 2013. Our contract at Routledge required us to remove many of our profiles on our blog at this time. But we do have other hero profiles and information about heroes on the menu bar located on the right side of this page. Check it out! In the mean time, please accept our apologies. Here is more information about our new book. You can click here to return to our HERO home page. And thanks for visiting!